Whether you're a homeowner or Realtor® selling a home, it makes no difference - everyone wants a house that looks great from the curb. Curb appeal comes together when all the elements of a home's facade are in good shape and working together. Driveways that are cracked or pitted with potholes, dingy front doors and shabby, scuffed mailboxes can all significantly detract from a home's overall curb appeal. Here is a handful of projects - many of them quick fixes - that can greatly enhance a home's appearance for a quick sell. For many homes, the driveway is one of the largest visual elements of the home's overall curb appeal, ranking right up there with siding, the roof and the lawn. Concrete can crack and crumble, and asphalt develops potholes. Both can be repaired quickly and easily. It sits at the end of your driveway and often plays a key role in helping guests find your house. 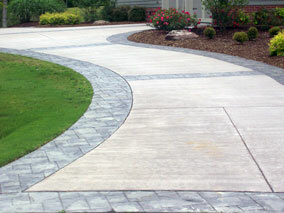 Little things can mean a lot when it comes to creating curb appeal. While a mailbox that looks good might not get much attention, one that's ugly or shabby is sure to draw the kind of attention you don't want. If you're in a community that restricts the type of mailbox you can have, simply give your rusted, stained mailbox and the post it sits on a fresh coat of paint in its original color. If your community has no standards for mailboxes, you can swap out an ordinary looking box with something that compliments your exterior design. Does your home have a brick facade? 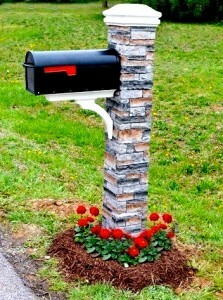 Consider a mailbox set in or on a brick pillar. If your house features fieldstone accents, consider carrying that over to the mailbox with a small, stone-trimmed planting bed at its base. 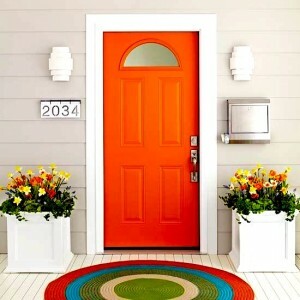 The door is the point where your exterior design meets your interior décor. It's also an element that significantly impacts how visitors view your home. Give yours a fresh coat of paint or stain, and don't forget the trim around the door.